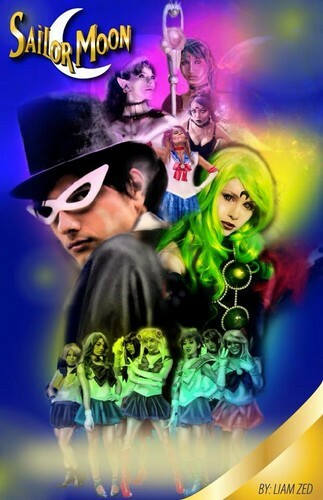 Sailor Moon Live Action movie poster 2. A অনুরাগী made Sailor Moon Live Action movie. HD Wallpaper and background images in the সেইলর মুন club tagged: photo sailor moon liam zed live action sailor mars sailor pluto sailor venus sailor mercury lynda ballentine fan art. This সেইলর মুন photo might contain নকল মানুষের, কমিক বই, কমিকস, and কার্টুন.